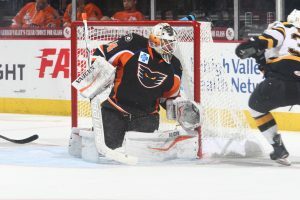 Lehigh Valley, Pa. – Maxim Lamarche scored the game winner with just 1:24 left in overtime and Alex Lyon turned in a jaw-dropping 49-save performance Saturday evening as the Lehigh Valley Phantoms outlasted the Providence Bruins 4-3 in Game 4 of their Atlantic Division Semifinals series. 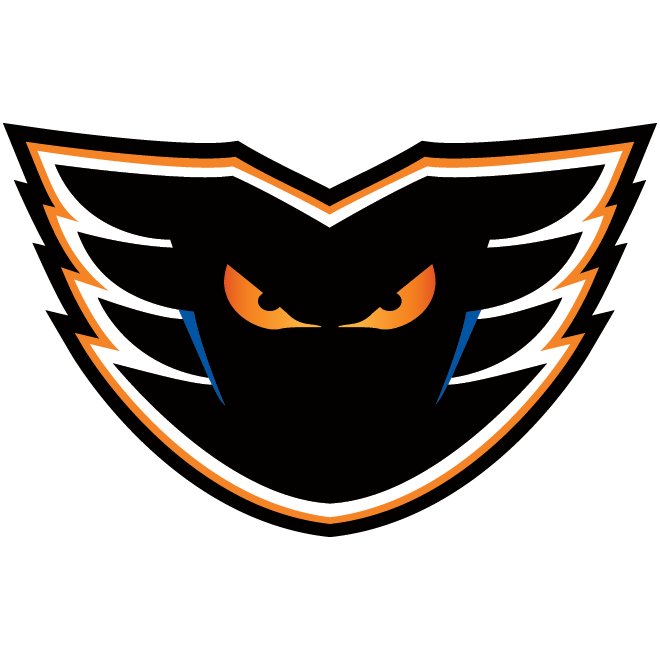 With the win, the Phantoms claimed the best-of-five series three games to one and are now on to the Atlantic Divisions Finals where they’ll face the third-seeded Charlotte Checkers who ousted the second-seeded Wilkes-Barre/Scranton Penguins in a three-game sweep. 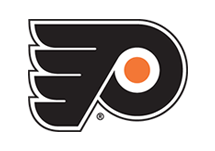 As the number one seed in the Atlantic Division portion of the 2018 Calder Cup Playoffs, the Phantoms will host Games 1 and 2 against Charlotte at PPL Center next Friday, May 4 and Saturday, May 5, respectively. 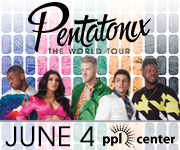 Tickets for both games are currently on sale now at www.pplcenter.com. 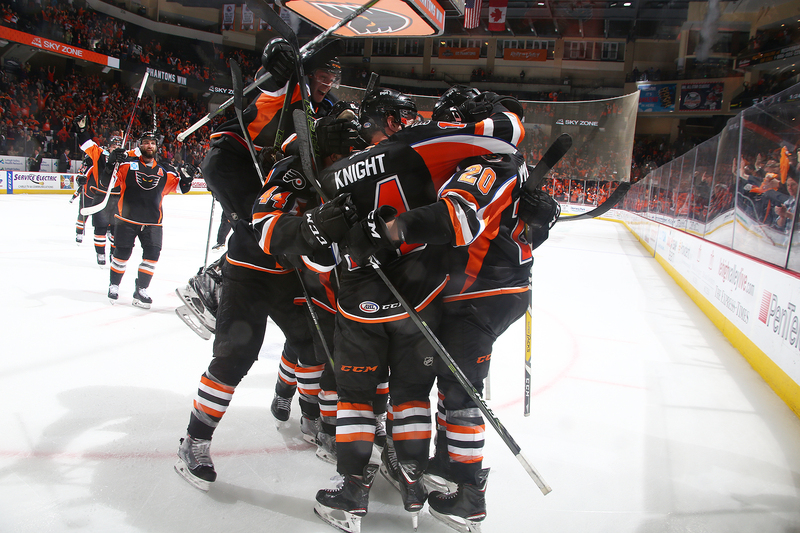 This marks the first postseason series victory for the Phantoms since arriving in Lehigh Valley back in 2014 and the franchise’s first trip to the second round of the playoffs since 2008. Lamarche’s goal was his first in 25 games as the 25-year-old blueliner found the back of the net for the first time since converting in an 8-2 victory at the Springfield Thunderbirds back on February 16. 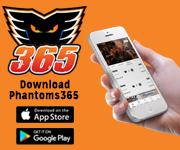 Chris Conner (1st, 2nd) and T.J. Brennan (1st) rounded out the scoring for the Phantoms who earned their ninth straight home victory as Lehigh Valley improved to an impressive 19-1-2 at PPL Center since January 13. After facing just 20 shots through the first two periods, Lyon was peppered with 18 shots in the third period before facing 14 shots in overtime. 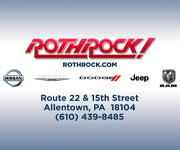 The 25-year-old netminder registered 16 saves in the final period of regulation before turning aside all 14 offerings he saw in an overtime period that saw Providence out shoot Lehigh Valley 14-4. 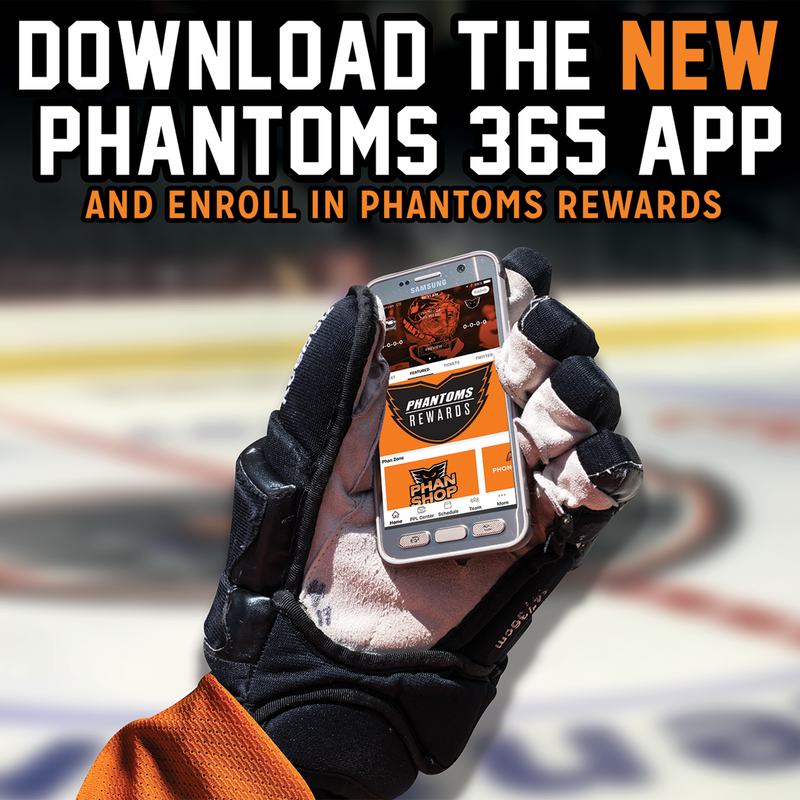 The Phantoms opened the scoring midway through the first period with a pair of goals just 37 seconds apart. First, Brennan lifted a seeing-eye wrist shot from the left point through traffic and past Bruins’ goaltender Jordan Binnington for his first goal of the playoffs. Greg Carey and Alex Krushelnyski assisted on the even-strength strike netted 7:27 into the first frame as Lehigh Valley opened the scoring for the second time in as many nights. Then, less than a minute later, Reece Willcox jumped up into the rush and had an opportunity atop the crease that produced a rebound that was promptly slammed home by Conner for his first goal of the postseason. Willcox and Oskar Lindblom collected assists on the five-on-five tally converted 8:04 into the opening period. 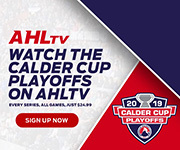 The Phantoms then stretched their lead to a 3-0 advantage a little over eight minutes later when a sensational stretch pass by Carey connected with Conner who in stride who executed a brilliant backhand conversion for his second goal of the game and second tally in these playoffs. Carey garnered the only assist on the even-strength goal scored 16:36 into the first period. 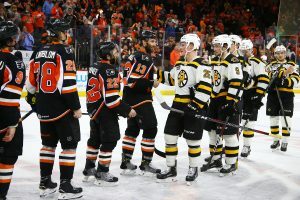 The opening frame was the only one Binnington would see on the night as he was assessed a roughing penalty at the close of the period after punching Danick Martel in the face leading Bruins’ head coach Jay Leach to lift his starter at the first intermission in favor of Zane McIntyre. The Bruins sliced into Lehigh Valley’s lead late in the second period when Providence captain Tommy Cross converted his first goal of the series with assists from Kenny Agostino and Jordan Szwarz. The five-on-five marker came 17:34 into the middle stanza and was the only goal of the second frame. The Bruins then mounted a ferocious comeback in the third period to level the contest in sending Game 4 to overtime. First, Providence trimmed Lehigh Valley’s lead down to a single goal when Anton Blidh expertly redirected Chris Breen’s point drive for his second goal of the playoffs. Karson Kuhlman earned the secondary assist on the even-strength strike poured in exactly 12 minutes into the finale period. Then, with just over five minutes left in regulation, Austin Czarnik used sensational hand-eye coordination in redirecting Paul Postma’s wrist shot from the high slot for Czarnik’s second goal of postseason. 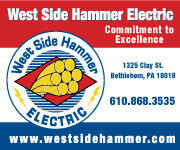 Postma and Agostino assisted on the equalizing marker scored 14:59 into the third frame. And while the Bruins carried the play in overtime, it was the Phantoms who were able to find the go-ahead tally when Lamarche came cruising down the left wing before sweeping a puck to the front of the net that glanced off McIntyre and across the goal line. Conner collected the only assist on the series-clinching conversion. 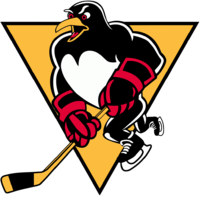 In the midst of the club’s 12th postseason appearance in franchise history, the Phantoms have captured two Calder Cup Championships (1998, 2005) and carry a 61-53 overall mark in 114 career AHL postseason outings. This is the fifth regular season division title in franchise history and the team’s first since arriving in the Lehigh Valley.